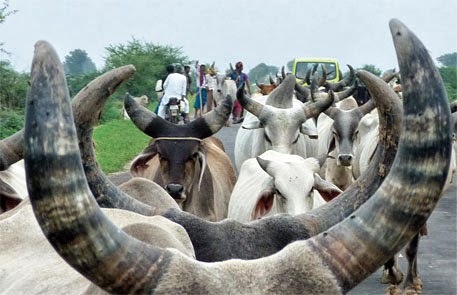 In a unique move, as a mark of their protest, in October third week the maldhari cattle breeders of North Gujarat will be flooding Gandhinagar with their cattle after traversing 80 kilomtres starting at Hansalpur, the spot where the Maruti-Suzuki has proposed to set up its second and a more modern plant of the country. In a statement issued on behalf of the maldharis, Jameen Adhikar Andolan Gujarat (JAAG) leaders Laljibhai Desai and Sagar Rabari have said, the maldharis’ rally – accompanied by their cattle – will start on October 23 morning at Hansalpur and will reach Gandhinagar on October 25. JAAG has been in forefront of the protests that rocked the state in from June to August 2013 against the Bhechraji-Mandal special investment region (SIR), with fear raging wide among farmers that their lands across tens of villages will be taken away for industrial use. After the Gujarat government declared in mid-August that it has decided to withdraw SIR from 36 of the 42 villages where the SIR was to be implemented, there was a certain lull in JAAG’s movement. While JAAG leaders said their demand for ousting Maruti-Suzuki from the region had not been met, hence their movement would continue, little seemed to be happening on the ground. Another of JAAG’s demand was that the SIR Act – which allows complete powers of land acquisition to a notified authority – was also not met. However, with maldharis finding that their grazing land might shrink, JAAG has again become active. Maruti-Suzuki plant remains part of the SIR region of the eight villages. In September 2012, the Gujarat government allotted 647 acres of grazing land in Hansalpur to Maruti-Suzuki for their plant. Another 200 acres, near Vithalapur, 25 km from Hansalpur, was allotted to the company to house its employees. Following this, the view has gone strong among farmers and maldharis that the land has been given for a song, especially because Maruti-Suzuki will merely need to pay in installments over eight years. Saying that handing over of such huge tracts of land to the company has created problems for the maldharis, the statement said, the issue was brought to the notice of Gujarat chief minister Narendra Modi with JAAG representatives on July 10, 2013. “The chief minister had assured them that state revenue minister Anandiben Patel would be looking at the issue, and if an amicable solution is not found he would intervene”, it added.